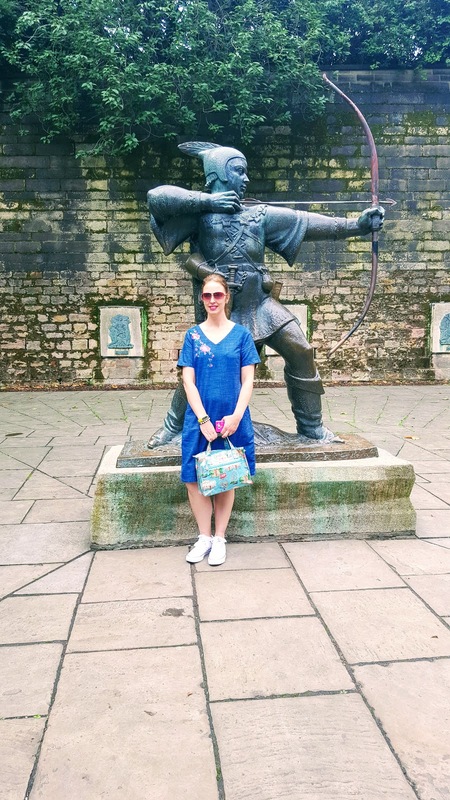 What I Wore : Nottingham Castle : Denim Dress Review. 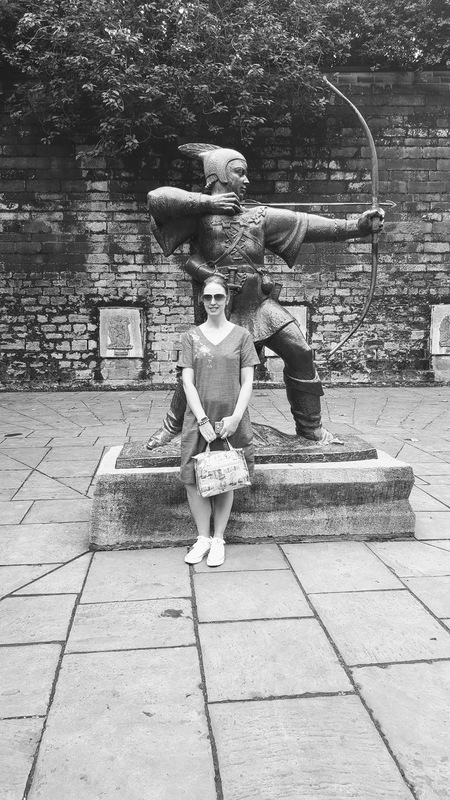 On Sunday me and my Daughter had a day out in Nottingham. Just the two of us. We had such a fun time together. 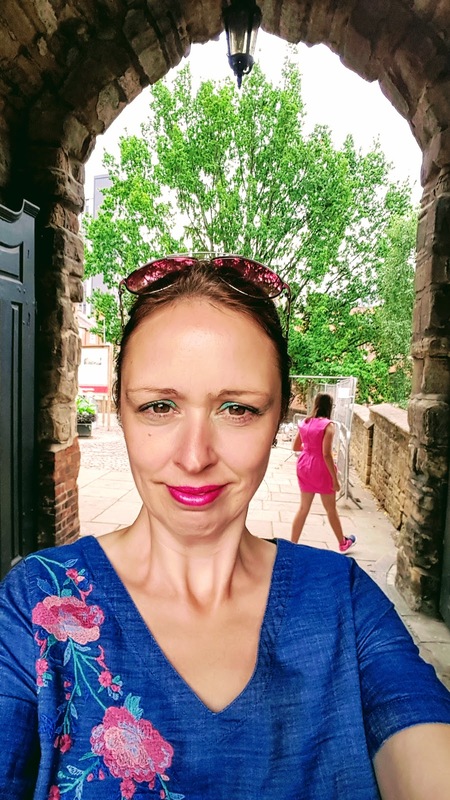 We arrived in Nottingham by train and although I have been to Nottingham town centre loads, I am no good at getting anywhere on my own. I usually leave things like this to my husband. Who happened to be at work on this day!! 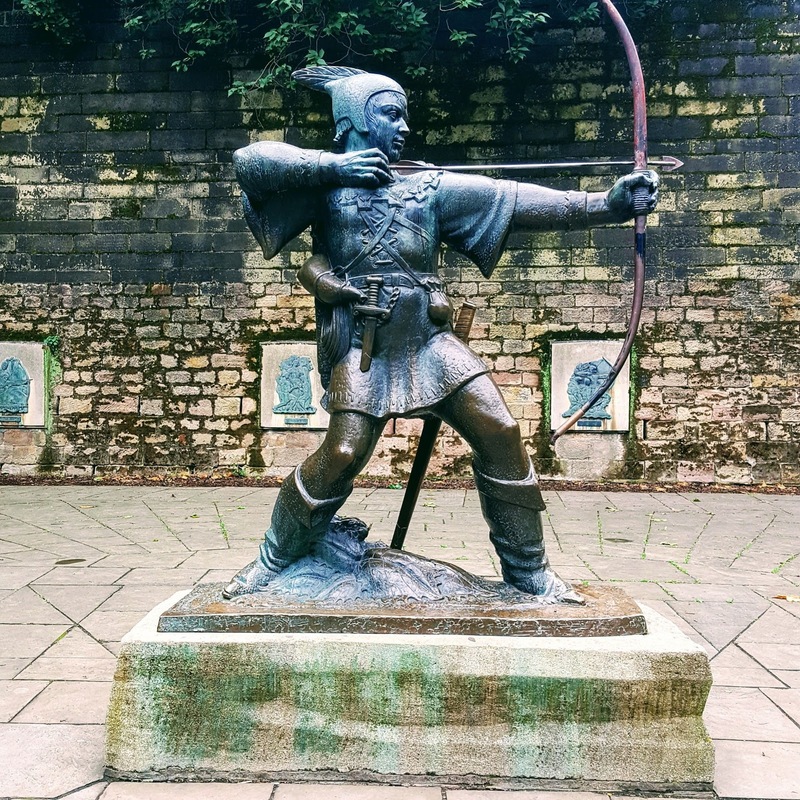 No worries, I just spoke into my phone; OK Google guide me to Nottingham Castle. It is not far away from the train station that we arrived in but it would have been if we took a wrong turn. Gosh, I love Google!! It only took us a few minutes to get to the Castle. My Daughter set me some truth or challenge questions and we had a real giggle at the answers when walking around. She set me a challenge of shouting ‘I love bananas’ and doing a monkey impression in front of some tourists and was rolling around laughing when I accepted her challenge and did it!! Good times, eh!? She soon stopped asking me to do silly things after that! The next moment we were there. 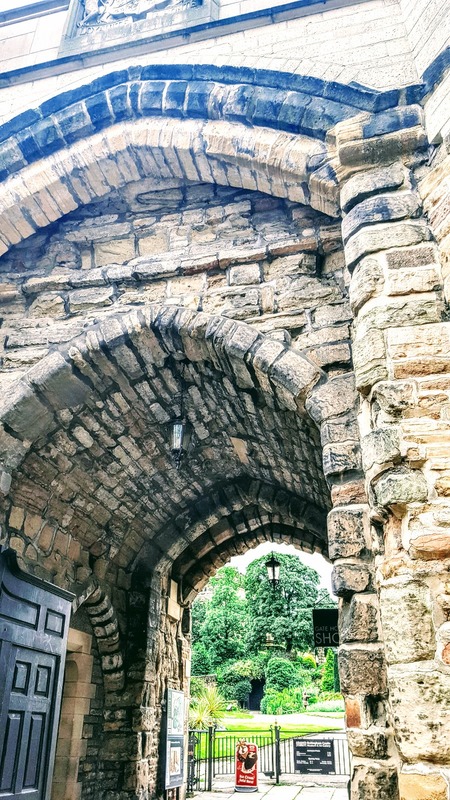 I love Nottingham and this is such a beautiful spot. We took photos, possed a little and chattered about different things. 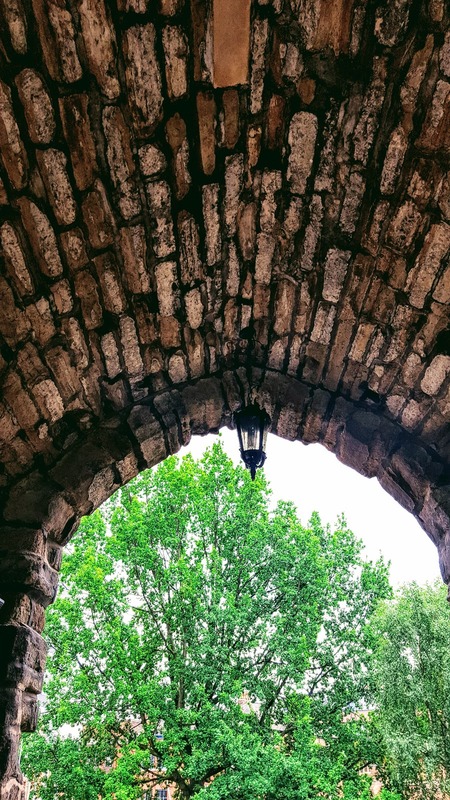 Around the castle is perfect for pretty photos. Like the Robin Hood statue, the Castle itself and the red phone box. 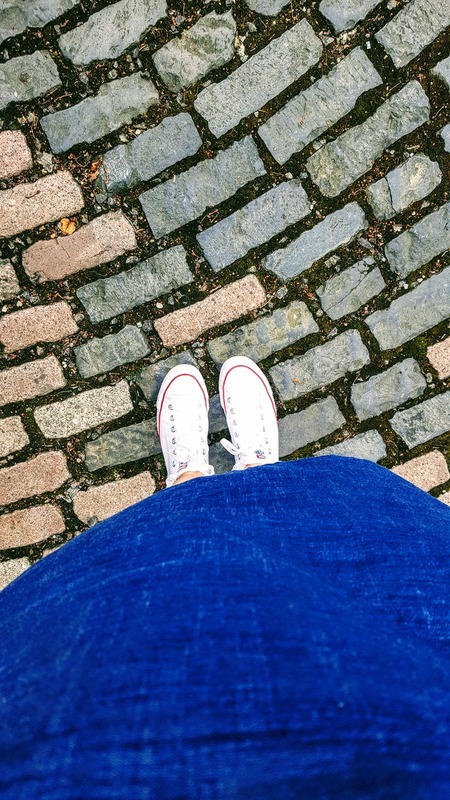 I love to wear my Converse when there is lots of walking involved! How cool is this!? Perfect for a photo opportunity. 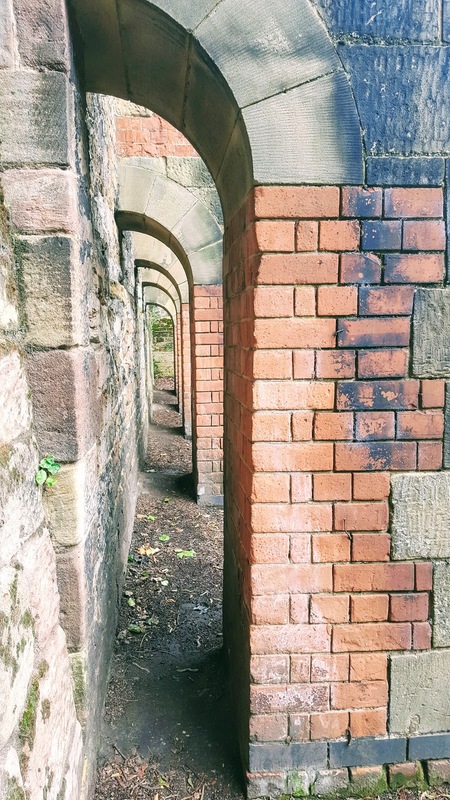 I wanted to stick my leg or arm through each arch but my Daughter was just laughing so that never worked out! Remember I mentioned I had another Dress from Bonmarché’s Summer lookbook to show you? This is it. I wore it here. 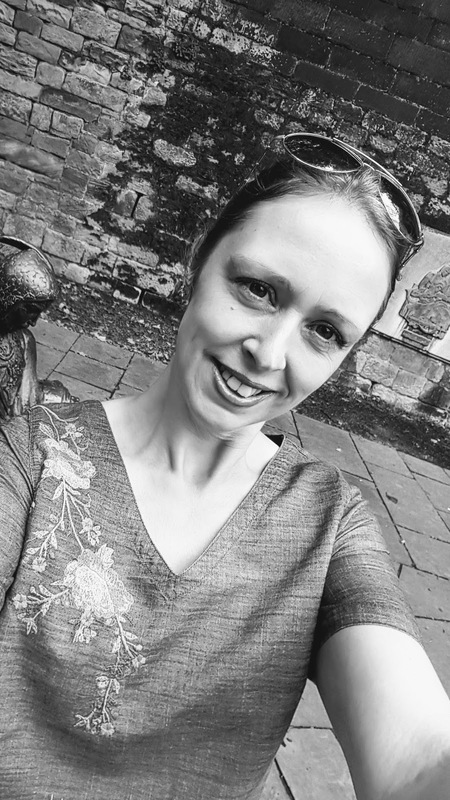 I love the that Bonmarché’s clothes come in generous sizes, perfect for when you are spending lots of time out and about and also throughout the Summer when you end eating what you want. No tight waist bands here!! 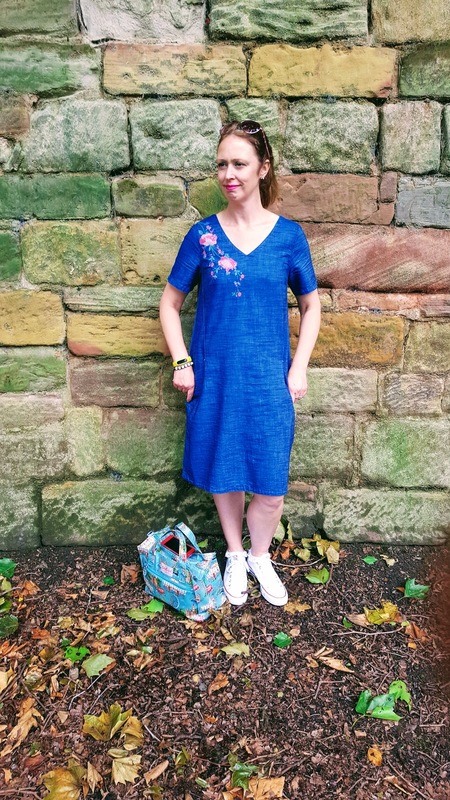 How pretty is this denim dress? Love it. Such a great style, design and fit. I now need to wash it as I have been wearing it for a few days as it feels so nice to wear. 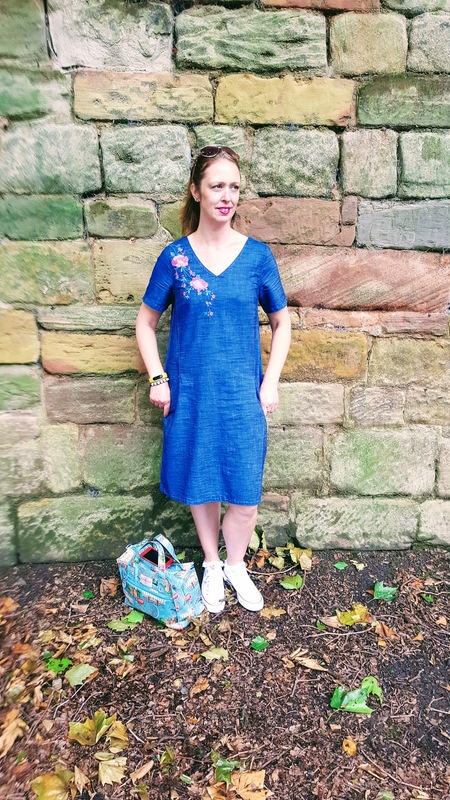 This dress is perfect for feeling comfy when out and about and it looks so stylish too. I know it is good when my Daughter says she likes it too. Mini-me in the background looking for things to take pictures of. 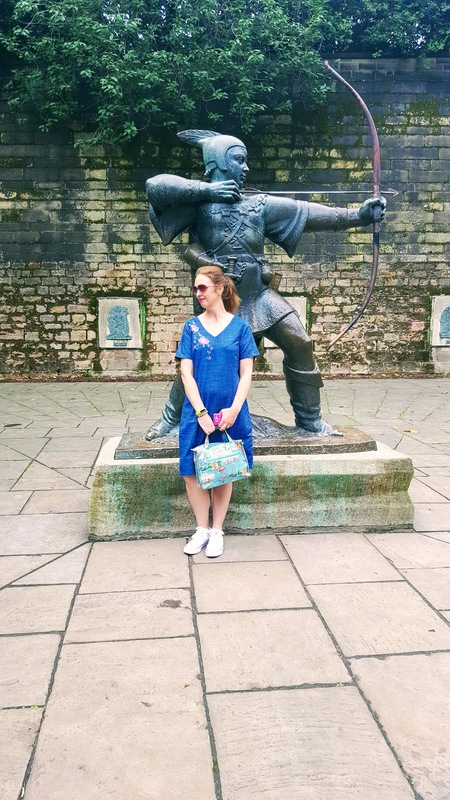 What I Wore: Dress: c/o Bonmarché | Shoes: Converse | Bag: Cath Kidston | Sunglasses: Primark. 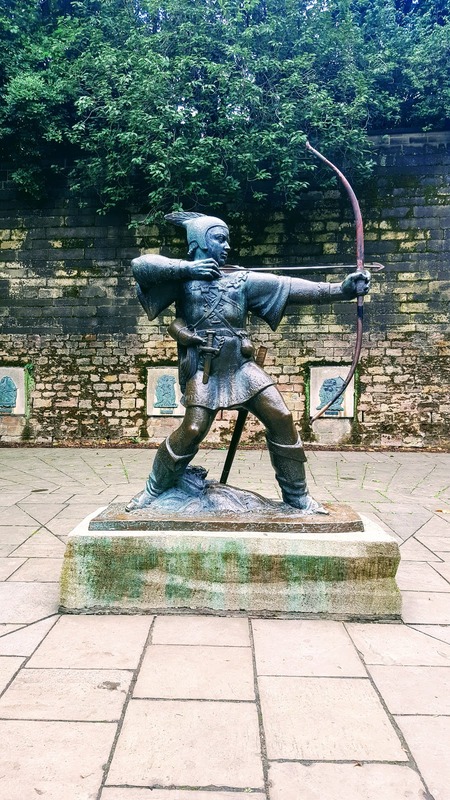 Have you been to Nottingham Castle before? Do not forget to stop by tomorrow I have a fun Wednesday Blog Hop post planned, wearing this dress too. 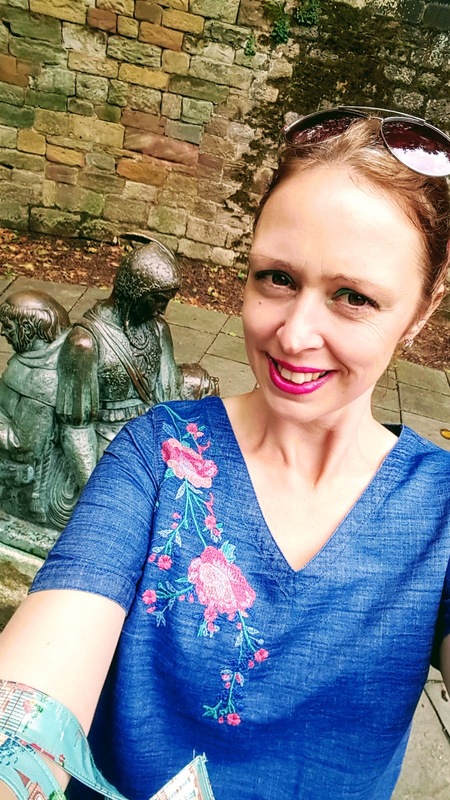 You can also link up your fashion posts here too. 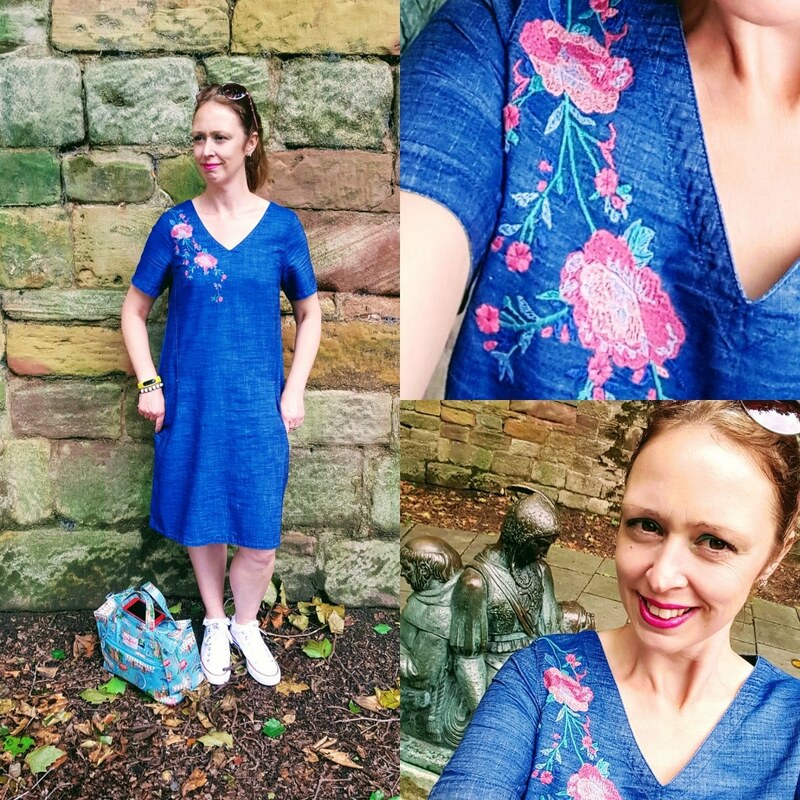 What I Wore: Nottingham Castle: Denim Dress Review. 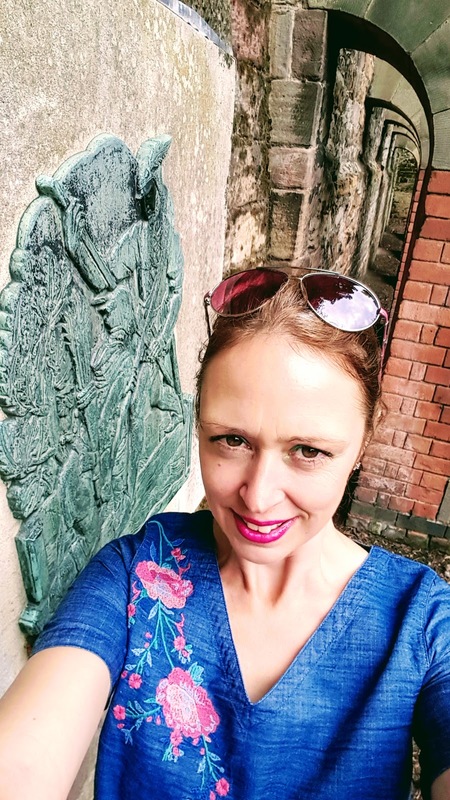 "Pear And Raspberry Jam Brioche Tarts"
"I’m At A Payphone Trying To Call Home: WW Blog Hop"
That's a really pretty dress. I'm SO into embroidery at the moment. Love the dress and these photos. Looks like a fabulous spot! 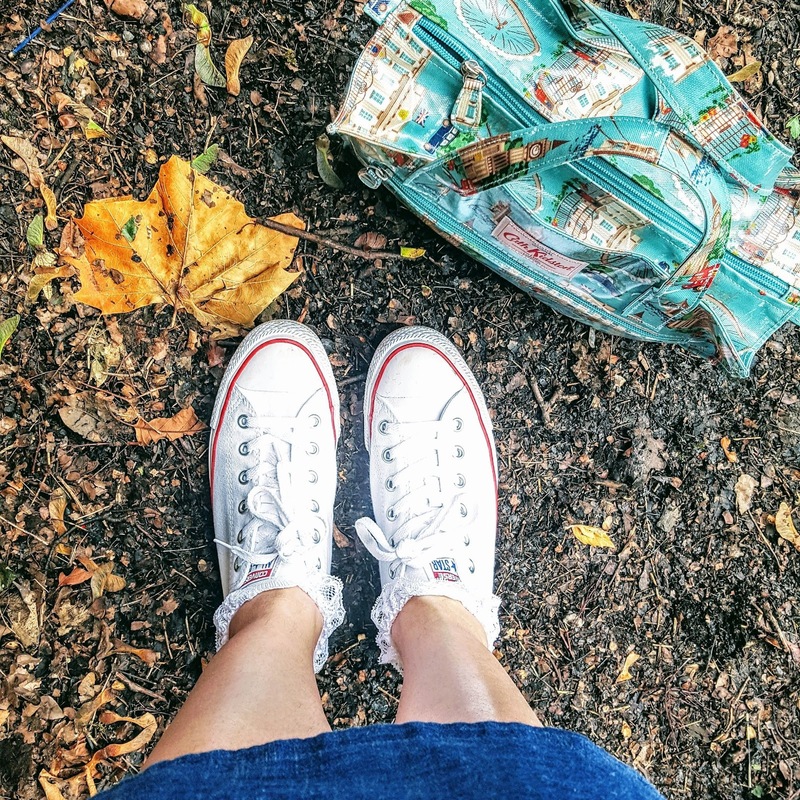 How do you keep your Converse so clean? What a fabulous dress! Great with those sneakers! beautiful! I love how you made it more casual with the shoes but it looks totally adaptable if you wanted to transition! Such a nice blue! I have noticed embroidered flowers on a lot of things lately ! GREAT dress! 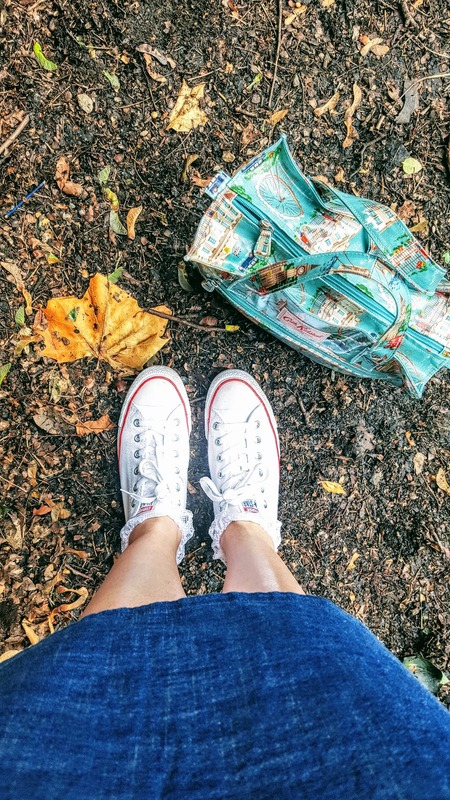 Perfectly teamed with the Cath Kidson bag. Looking great!